Welcome to Belize where you will have the vacation of a lifetime. Here is a bit of information which you will find enlightening and helpful! Carlos Tours runs a 1 day snorkelling tour of the Belize Barrier Reef run by Carlos Ayala, who has been running the tour and living in Caye Caulker for 15 years. The reef is the second longest in the world and is home to a wide variety of marine life including corals of all shapes, colours and sizes, sea turtles, sharks, rays, tropical fish, eels, lobster, crabs and, at the right time of year, manatees. 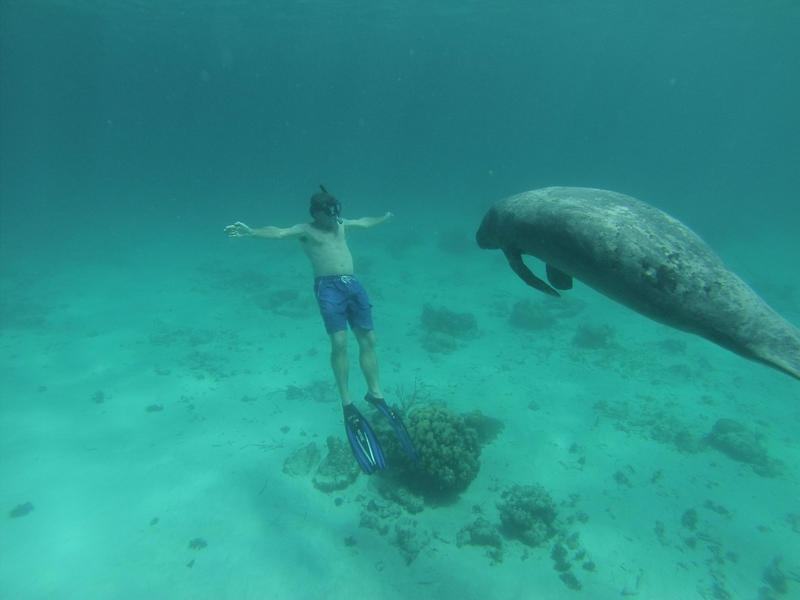 Carlos is a free diver meaning he can dive for extended periods without the use of oxygen tanks. Since 2002 he has combined this ability with his increasing interest in underwater photography and takes fantastic close up photos of everything you see on the tour with his underwater digital camera. 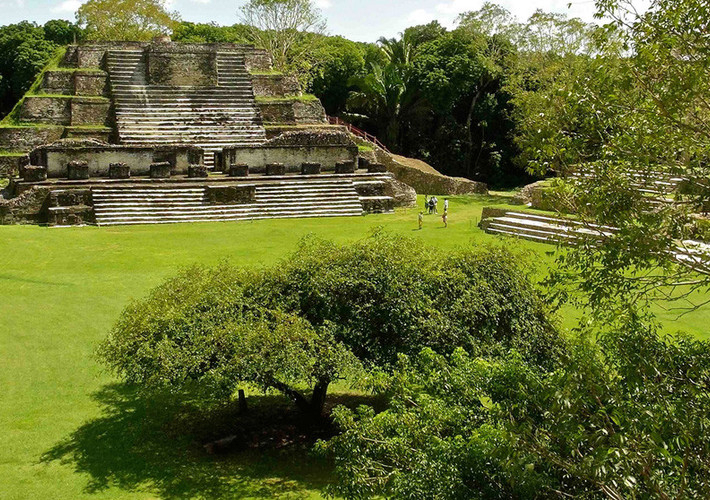 Jose Tours Belize offers attractively priced tours of Mayan ruins in Belize such as Altun Ha and Lamanai as well as great activities such as Cave Tubing and Zip Lining. 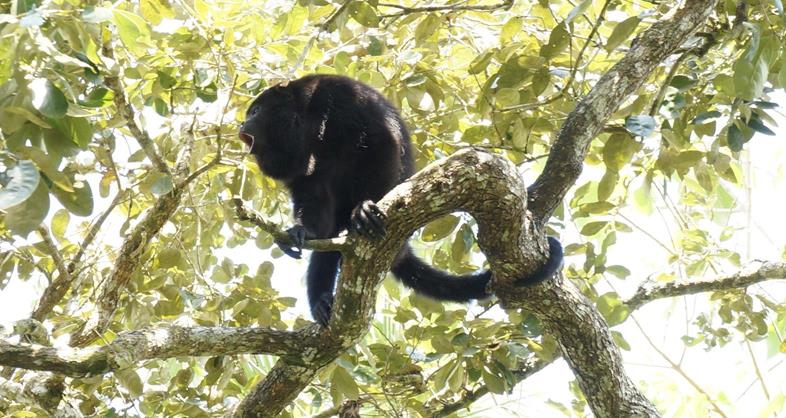 Trips to the Belize Zoo and to the Howler Monkey/Baboon Sanctuary are offered as well! If you'd like to do more than one activity or tour in a day, check out our COMBO Tours that combine different activities together to provide a day of fun and relaxation! 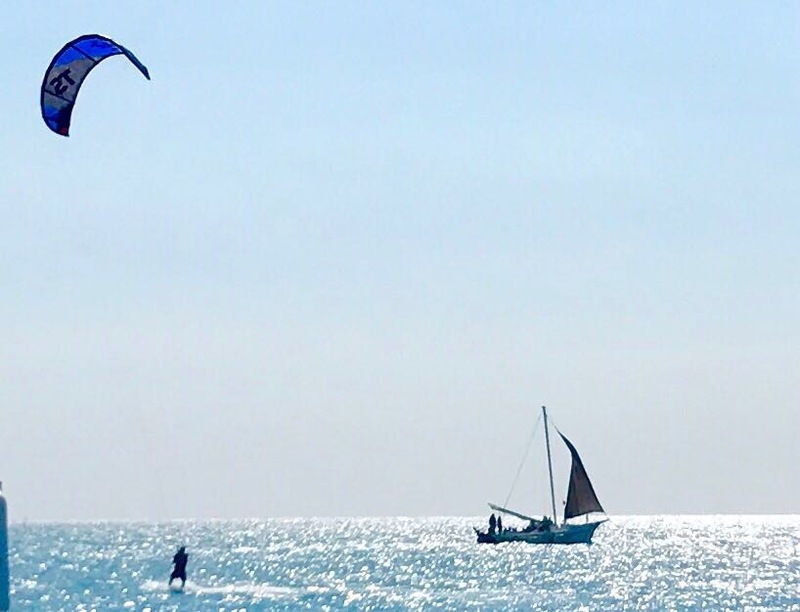 The constant trade winds make Belize a perfect location for Kiteboarding. 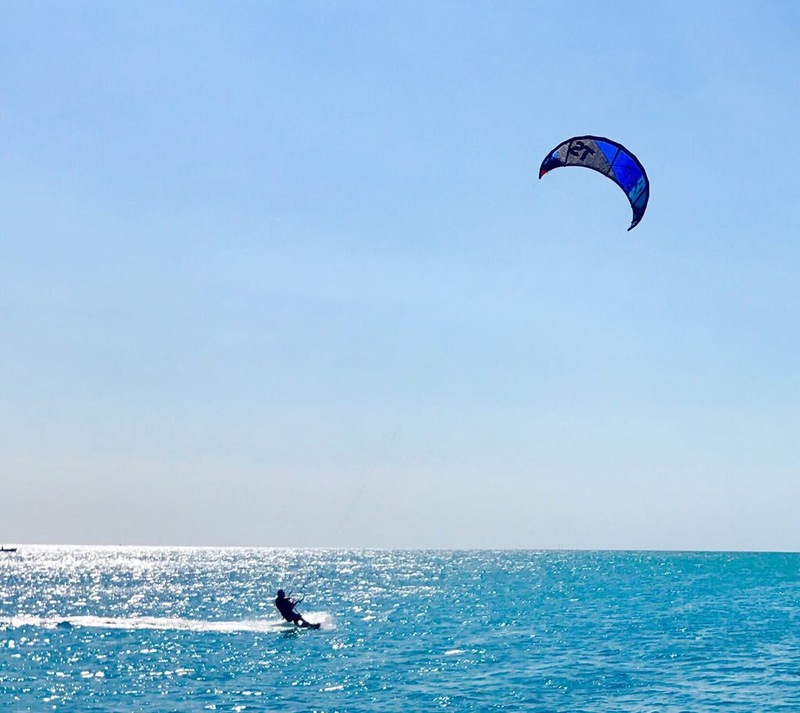 Caye Caulker has a kiteboarding school taking advantage of the shallow water immediately in front of the island. Velento's beach is larger enough for more experienced kiters to launch from between the docks, not for the beginners though! Belize has some of the best salt water fly fishing in the world, the mangove flats attract bone fish and will give you the fight of your life. There are many fishing guide outfits but our guests have been very complimentary of Chasin Tail Guides will bring their boats to our docks to pick you up for a days fishing to remember, they include lunch. Manatees are lovable and gentle water creatures that spend their entire lives in the water. According to researchers, manatees can have a life span of up to 60 years and are found habitually in warm shallow waters. They only eat plants making them herbivores and at times can be seen just off the coast of Caye Caulker. Belize has the region’s largest concentration of manatees by the count of the United Nations Environment Programme due to the fact that Belize has the largest coral reef in the western hemisphere and extensive mangrove swamps. In addition, Belize’s network of rivers and lagoons which is protected in part by the reef provides fertile feeding grounds and shelter for these amazing mammals. The country of Belize is not large, but it offers a big variety of interesting activities. For some visitors their primary reason for visiting Belize is to unwind from stress at home and at the office in a warm and laidback atmosphere. 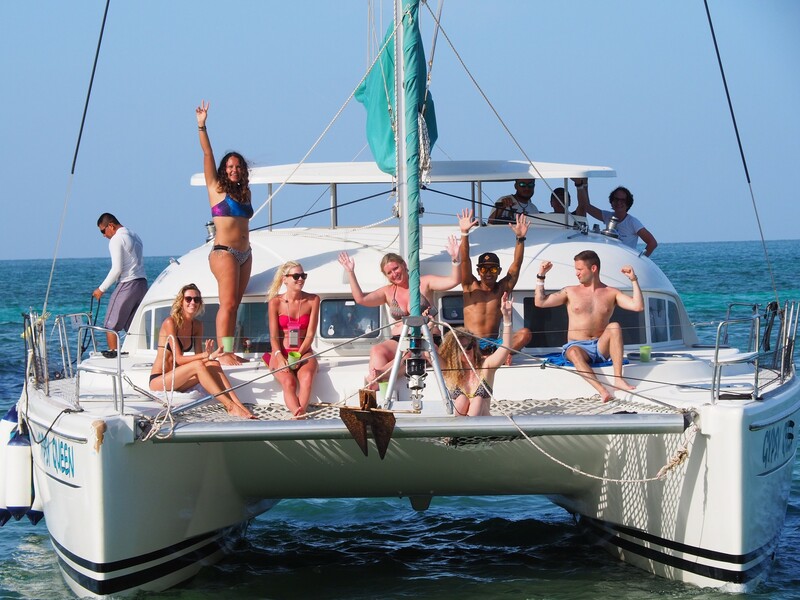 For others, it is the exploration of and participation in the many activities which Belize offers. 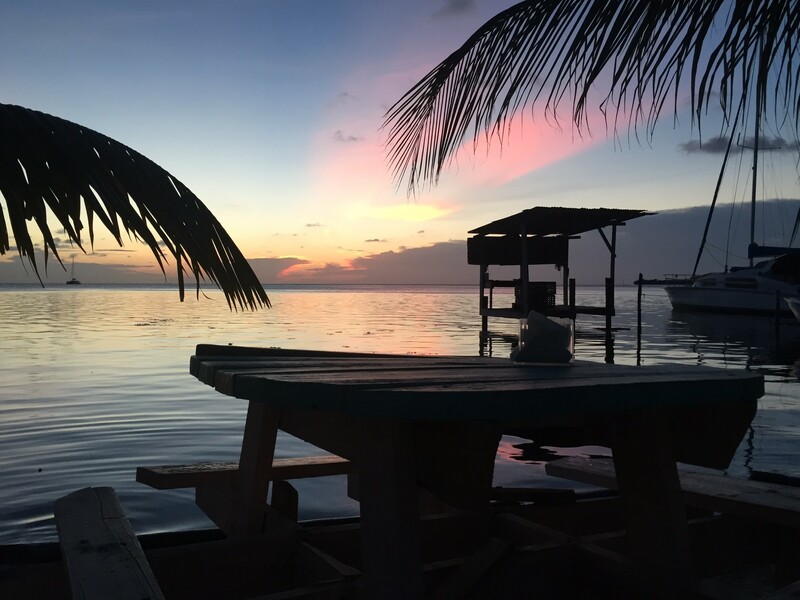 Caye Caulker deserves careful consideration from many perspectives: It is 12 miles away from Ambergris Caye and attracts travelers who are looking for a quiet, peaceful getaway on an island with gorgeous views over the water for sunrises and sunsets. 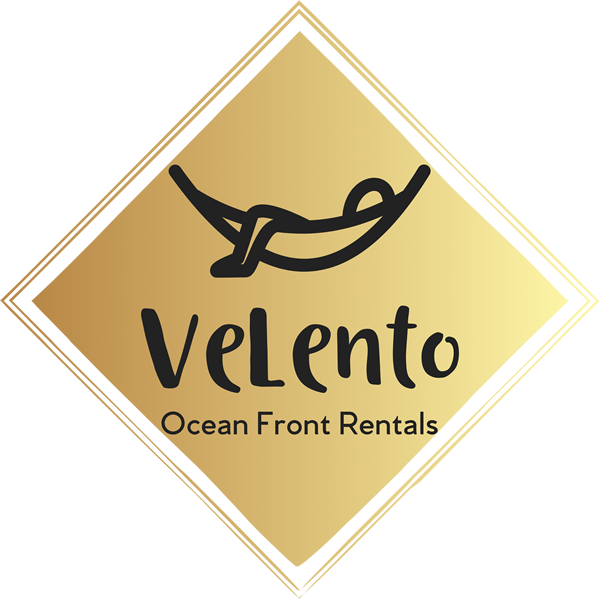 There are numerous vacation rentals in newly constructed 2 story stand-alone vacation rental properties with access to swimming pools as well as piers extending out over the water. The island is still a very quiet area where the main methods of transportation are biking and walking! This is definitely a great find!!! The Maya Ruins are located in the southern part of Belize. The Maya ruins are a main attraction in Belize and at one point in history this area was the center of Mayan civilization. It is an undeveloped area and today there is one of the biggest concentrations of temples, underground chambers and much ancient art work in pottery, stone carvings, paintings. Most of the art was made using gold, obsidian and jade. The 175 miles of beaches are undoubtedly a huge draw for tourists and natives alike. The Barrier Reef which protects the coast makes swimming, snorkeling and diving all relatively safe with little surf or undercurrents. Outside the reef think Scuba diving and deep sea fishing. Some of the best beaches are Caye Caulker, Ambergris Caye, Placencia, Hopkins and southern Belize. The huge attractions for tourists are Belize’s 200 islands (also called “Cayes”) which offer secluded beaches, warm water, and the ultimate in the laidback Latin lifestyle all with the perpetual background of inviting turquoise water and gorgeous sunrises and sunsets. Just west of these beaches (inland) is the Jaguar Preserve. It is called the Cockscomb Basin Wildlife Sanctuary. It has a long walking trail through the jungle where plants are identified along the trail and it is not unusual to see animals as you walk. 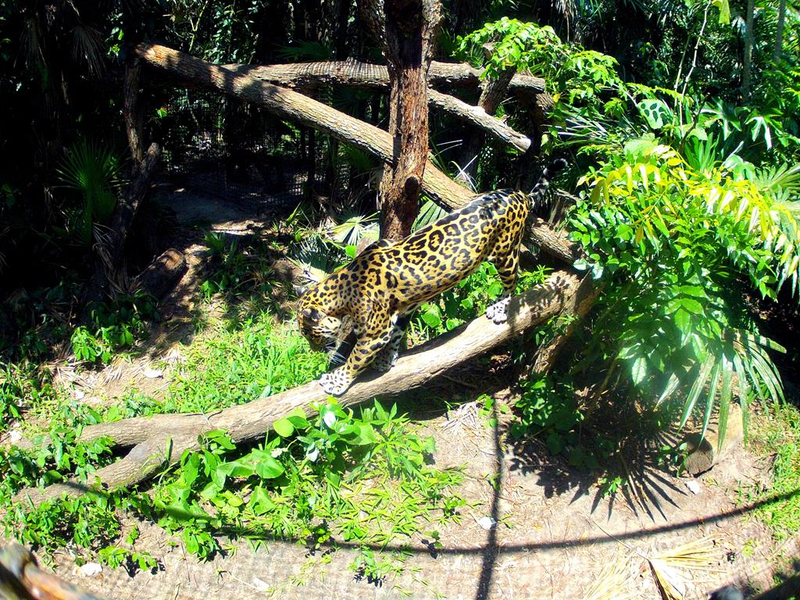 The Sanctuary is home to Belize’s largest cat, the Jaguar. In the Sanctuary, the Victoria Peak trail is only accessible during the dry season and guides are necessary for this ascent up the mountain. Hiking and biking are great ways to tour the country. This is a very laidback country with a very low density population. On many of the well-defined trails in the rainforest you can see plants which are identified by signage and points of interest are also marked. Many visitors simply take a map of Belize and information from this website and venture out on their own. No guided tour necessary!!! The Mopan River connects with the Macal River to form the Belize River. You can rent canoes and power boats are also available for fishing in various rivers in the area. There are also tour companies which offer Class 1 and Class 2 rapids. The guides are certified by the local tourist board. You might see birds and large iguanas as you proceed along the river. The Belize Zoo exhibits more than 150 native animals in a real tropical rainforest atmosphere with enclosures set in a hidden environment of native trees and plants. You will NOT see any metal cages as are typical in ordinary zoos. The zoo is 31 miles west of Belize City. It is most extraordinary and you could easily spend the day here. In Belize City near Queen Street is a restored building which was originally built as a prison during the 19th century. It was built to house just 1 prisoner in each cell, but when the prison closed in the 20th century the cells each held 6 to 8 prisoners. A tour of this facility is certainly in order. 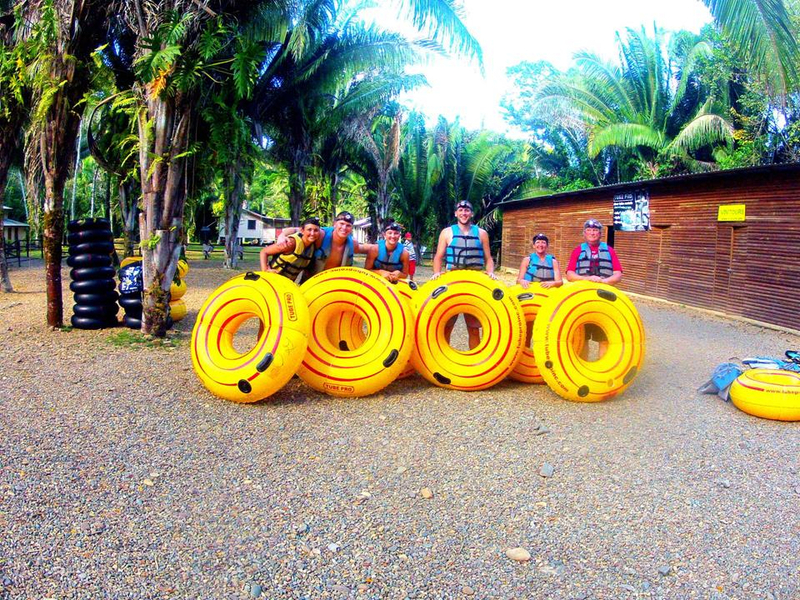 Ever hear of Cave tubing? Belize has it! It is a full day river run called the ATM Cave that travels underground for miles through caves and then rises out of the caves to continue this fabulous journey for 30 miles through the tropical rainforest and finally connects with the Sibun River to finish this incredible journey. Several companies offer this tour. 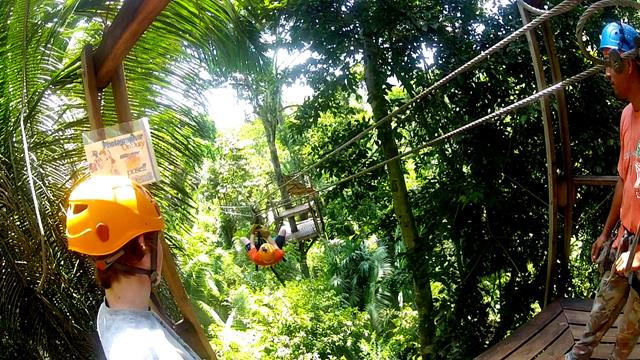 There are zip line options to consider as well. The Barrier reef is the largest in the western hemisphere and runs for 190 miles all along the coastline of Belize. Guided dives will allow you to explore many Caribbean reef dwellers from tiny fish to shanks and turtles. It is a “don’t miss” adventure. The reef is a mile from the Caye Caulker shoreline. The signature dive of Belize is the Blue Hole, a 1,000 foot wide diving hole which is one of the most popular dives in the world! Caye Caulker has great companies to use for diving: Belize Dive Services and Frenchies are just 2 of them! So what are the top 10 attractions in Belize? #1 Hol Chan Marine Reserve – the access point to dive sites outside the Barrier Reef. The cut is full of grouper, snapper, barracuda and jacks. #2 Shark Ray Alley – snorkel here inside the barrier reef and take pictures of all kinds of fish and stingrays. #3 Ambergris Caye/San Pedro – a very popular dive spot in a popular beach town very close to all the dive spots near the island. #7 The Atolls - Dramatic dive site outside the barrier reef. VERY large! #10 Topside Tours – See Mayan archaeological sites, Lamanai, a scarcely excavated site which is on the New River Lagoon and Xunatunich which is an ancient ceremonial site near the Guatemala border. Weather: Warm year-round. Brisk wind from the Caribbean moderates the heat. Money information: Belize dollar (BZ$) trades at BZ$2 to US$1. Credit cards widely accepted. There is a $35 departure tax, payable in US dollars only.